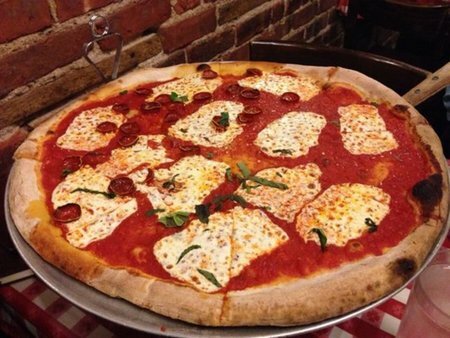 The Pizza Bible - What kind of mozzarella is used on New York style coal-fired pizza? 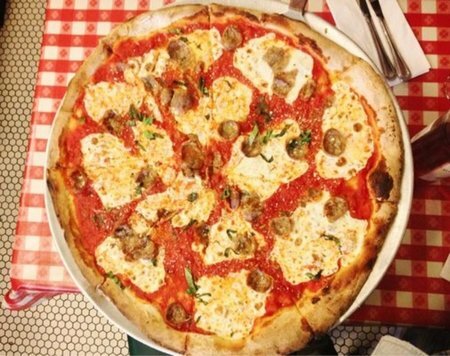 I'm trying to find the brand or type of mozzarella that is used at pizzerias like Lombardi's, Grimaldi's and Totonno's. Everything I've tried using doesn't have the same melt. Is it a special brand or is it the oven and temperature that causes it to melt this way? The cheese is in question is a low-moisture fresh mozzarella. Most fresh mozzarella is called fior di latte. It's the stuff that comes in balls soaked water / brine. The stuff you're interested in is made by companies like Aiello in New York. It might be difficult to find retail.